An Original 1977 (from the first release of this movie in the Czech Republic) Vintage Theater-Used Folded Czechoslovakian Movie Poster (measures 11" x 16") Condition: Very Good to Excellent (C7) See our 10 GRADE SYSTEM Page for more information. Zorro is a 1975 Italian film based on the character created by Johnston McCulley. Directed by Duccio Tessari, it stars famous French actor Alain Delon as Zorro. 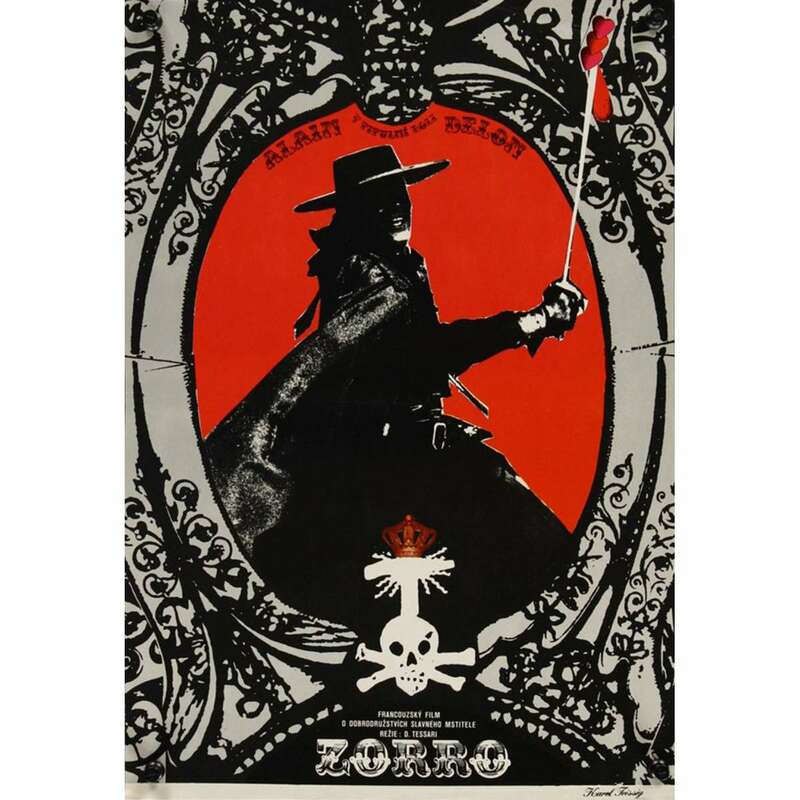 The film is the only Zorro film to take place in South America, rather than the traditional California or Mexico. Made inItaly, the film has many spaghetti western elements to it. Important Added Info: Note that this poster was folded across the middle at one time but has been laying flat for a long time and will be sent rolled in a tube.